Discussion in 'New Member Introductions' started by robert740il, July 26, 2011.
i have 2000 explorer xlt v6 sohc, 230,000 miles. a small leak at the right boot of the equipment(steering gear ?, tie rods go into it). it sits inside the frame and the power steering cooler is bolted to the top of it. what is this called and is it a seal or do i need to replace the whole thing. this has been a good car for me. If it is slow leak this may cause the seals to work again. If this doesn't work you might need to replace the steering rack. Welcome to this forum! 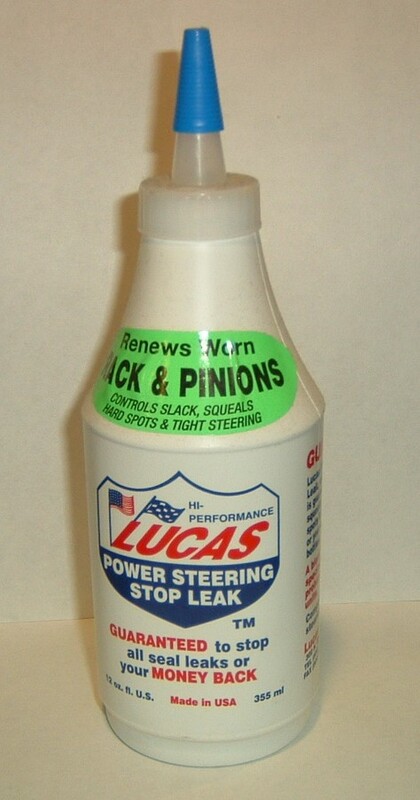 I've used the Lucas stop leak many times, and it's pretty good for stopping slow leaks. i used the lucas ps stop leak and it worked the first day with 1/2 bottle. thanks very much for the help.